Public Provident Fund (PPF) account is the Tax Deduction at Source (TDS) and Income Tax exempted (under section 88 of IT Act) deposit scheme offered to general public. An individual in his/her own name or on behalf of a minor can open this account. Few nationalized banks, private sector banks and post office can open and maintain public provident fund accounts. But only few banks like State Bank of India (SBI) and ICICI banks offer facilities to open, maintain and operate PPF account through online banking. Don’t confuse Public Provident Fund (PPF) account with Employee Provident Fund (EPF) account, both are entirely different. 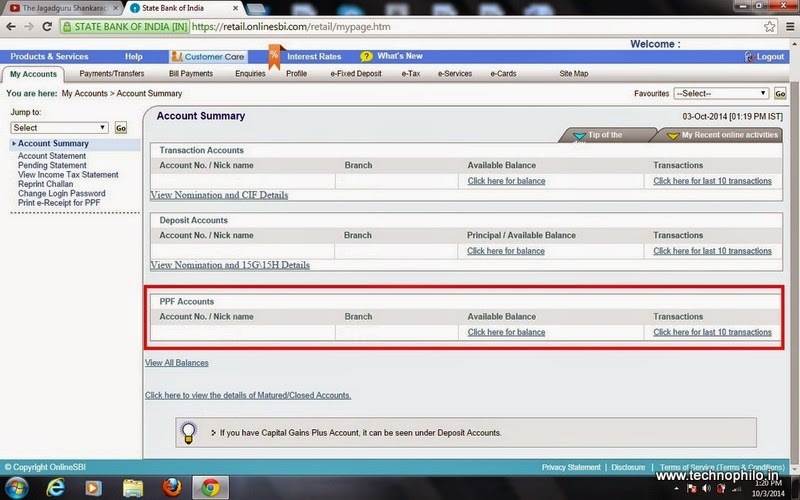 It is easy to open PPF account online through SBI Net banking. Once the application is made for PPF account online, visit the branch where you are having SB account with the printout of application of PPF account and a copy of identity proof and address proof as it is mandatory to have completed KYC for PPF accounts. 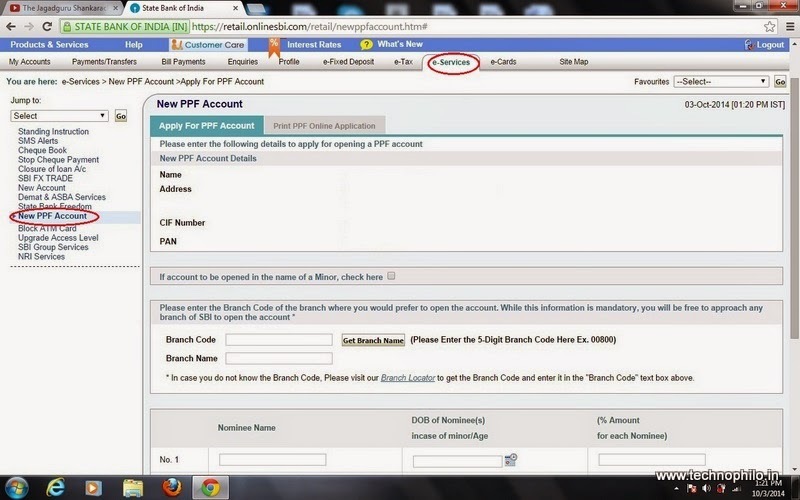 Verifying documents bank will open the PPF account and issue separate passbook for PPF account. 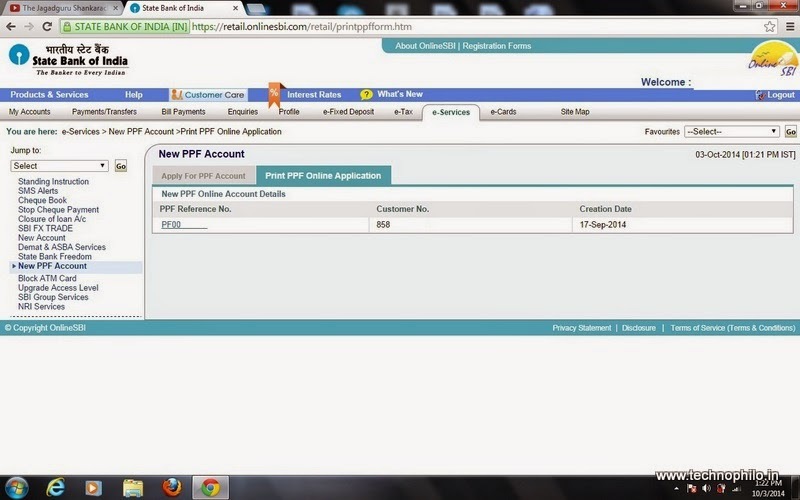 PPF account will be mapped in your SBI internet banking login within few hours. You can view and operate it online. 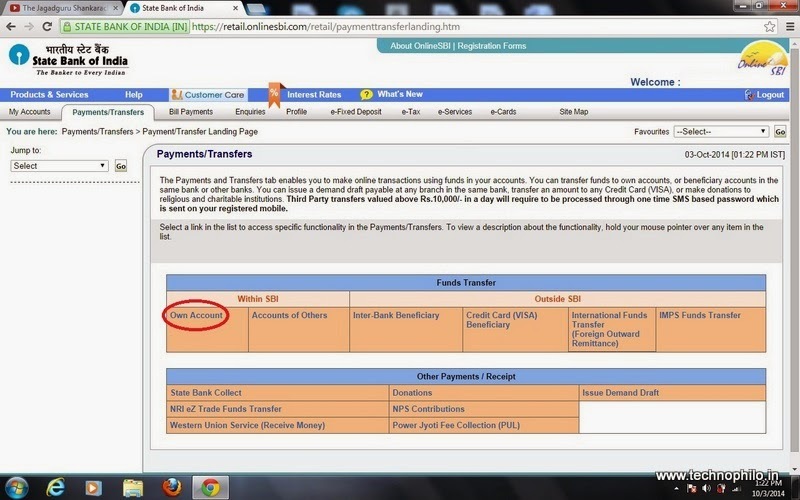 You can transfer funds to PPF account using funds transfer to own account option from payments/transfer tab.